When certain writers or directors work on projects there are often actors that you know will show up in one place or another. Sometimes it’s leading roles, like when Tim Burton calls Johnny Depp every time he makes a movie. Other times it can be a small supporting part, like when Josh Malina shows up in nearly everything that Aaron Sorkin writes, or the fact that John Ratzenberger voices a character in every Pixar movie. For Rian Johnson, that special, "always there" actor is Noah Segan, and since Johnson has begun to work on Star Wars: Episode VIII, it’s no surprise that Segan will be there as well. The news that Noah Segan recently took off for Pinewood Studios in London comes courtesy of Birth.Movies.Death. You see, in addition to being a great actor, Segan also occasionally contributes pieces to the website, so the team at BMD knows him well. They assumed this would give them the inside track on all things Star Wars: Episode VIII, or at the very least, they’d learn who Segan himself was playing. Unfortunately for them, Segan is being a good little soldier and remaining quiet about exactly what he’s doing on the set of the new Star Wars film. Noah Segan has made appearances in episodes of Breaking Bad which Rian Johnson directed. He also played the role of Kid Blue in the time travel assassin movie Looper with Bruce Willis and Joseph Gordon-Levitt. For something like Star Wars: Episode VIII, Segan’s role could literally be anything. He could be playing a significant supporting role, or a simple cameo, probably as some form of space alien. Nobody apparently knows. Well, that’s not true, somebody knows, and he’ll apparently talk, for a price. Of course, the "friend" he’s asking for would be Noah Segan anyway, right? The two of them can split that sweet, sweet, scoop money. We’re as curious as anybody who Segan will be playing. While we’re at it, we also want to know about the roles being portrayed by Benicio Del Toro, Laura Dern, and Kellie Marie Tran. Even though we’ve already seen one movie in this series, it feels like we’re back to having more things that we don’t know than things that we do. 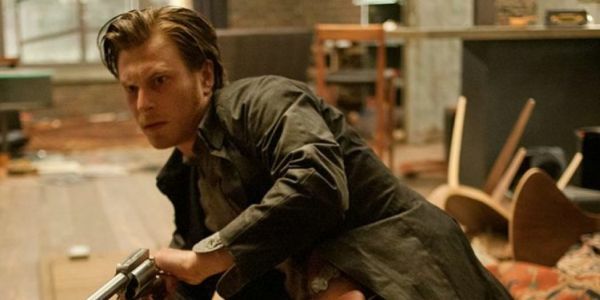 If you do know who Noah Segan will be playing in Star Wars: Episode VIII go let the BMD guys know. Tell them we sent you, though- there might be a finders fee. We'll continue to update you on all things Star Wars as details become public.